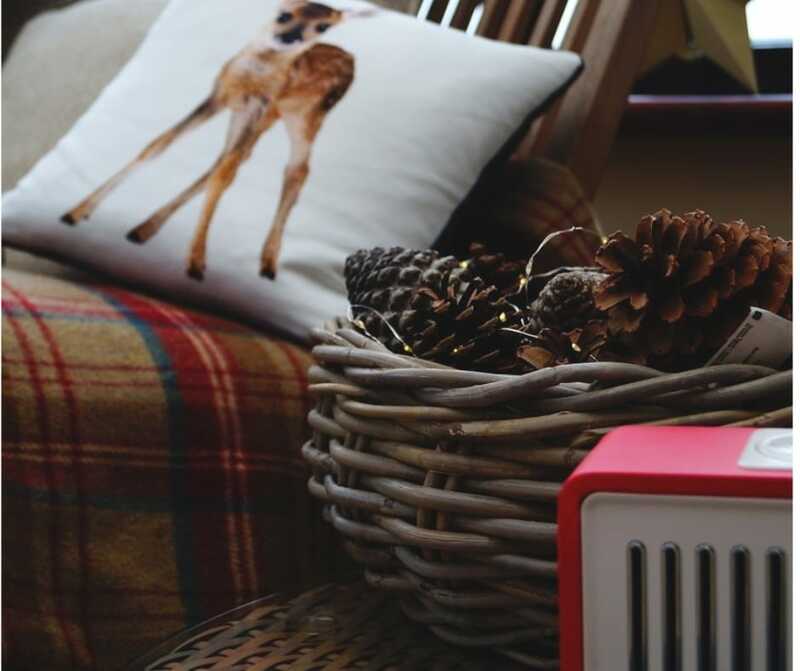 Our 5 Top Tips to Festive Decluttering and Getting Ahead for next Christmas! 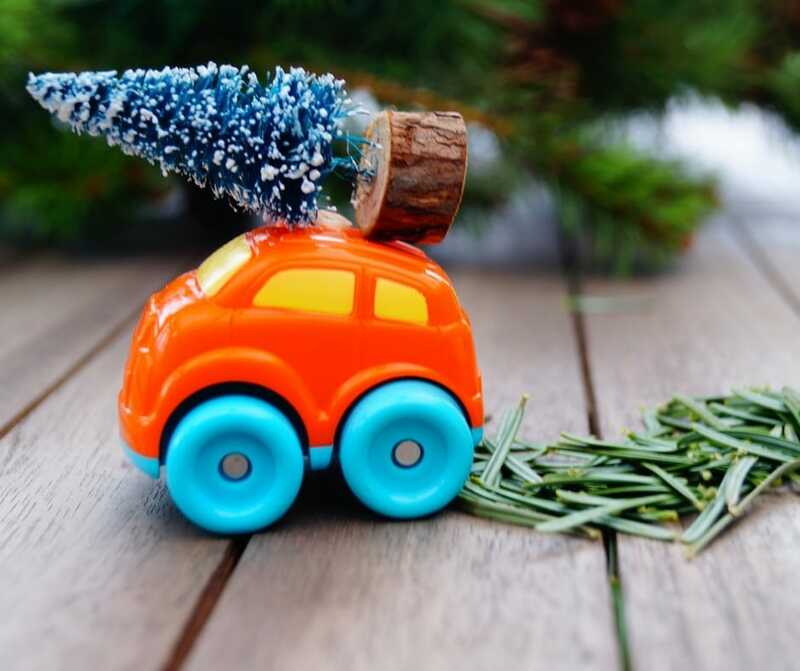 No matter how much you love Christmas there’s something incredibly powerful about the move from December to January and the urge it brings to welcome in the New Year with a clean and declutter! And for some (and that includes me for sure) there’s a huge urge to get ultra organised and ahead at the start of the year. Not just because of busy careers or family commitments but generally an overwhelming sense that to organise now will take the pressure off later. We never know what’s around the corner but what we do know for sure is that December is always a busy time of year and never enough hours in the day so giving yourself a head start now to be a little more organised later can surely only serve you well. Being that this December I ended up spending the run up to Christmas in bed with the flu I’m sticking to the plan on this, as had I not have been as organised as I was at that point I seriously would have just had to cancel Christmas! So mission Mary Poppins “spit spot” here I come again! No 1 – Removing a real tree without the mess! You got the tree into the house without too much mess, how bad could the needle drop be going out? (minus the netting and more dehydrated!) Yes it all seemed quite exciting coming in and now a bit of a chore so here’s our quick tip for getting it out, without the mess, much kinder on the fingers and without clogging up the hoover with needles! Grab yourself a large bed sheet (preferably one you’ve just taken off the bed and were about to wash) or an old dustsheet, lay it on the floor, release the tree from its holder onto the sheet, pull the sheet around the tree and on your own or with help, lift the sheet (containing the tree and the needles it will inevitably shed) straight outside to the garden or car to dispose of it. Give the sheet a shake and wash as necessary and that’s it job done! This is one of my favourite things to do and not only is it environmentally friendly, depending on how you recycle them you can actually get ahead for next year and save money too! For Christmas Card Recycling then click here for our previous blog full of inspiration, ideas and info. No 3 – Spring clean your decorations and label them! Just like home décor, chirstmas décor has a habit of moving on. There’ll always be your favourites that every year you simply can’t do without but most of us are guilty of buying more and more decorations each year (how many different colourways has your tree been?) so if you don’t clear them down occasionally then likely one Christmas you’re going to feel very overwhelmed by it all or the ceiling will give way so make 2019 the year to sort it. Before you pack them away, make a plan. Sort them into what makes sense to you ie by rooms, colours, items eg all lights in the same box etc and anything you’ve fallen out of love with, get rid to the charity shop! 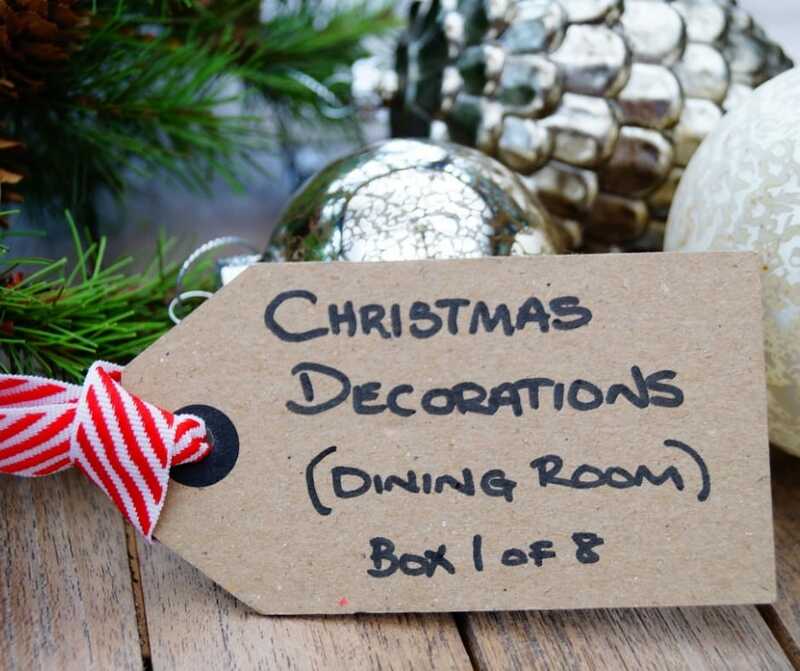 Then label them clearly with what’s in the box (or the room it applies to etc) and my biggest tip…Remember to write on the number of the box and how many boxes there are ie Xmas 1 of 8…This will save so much time next time as you’ll know for sure you’ve got them all! I once spent ages looking for fairy lights in the loft which I knew I had… which for the record I actually hadn’t! Seems I’d forgotten they’d not worked and I’d binned them but at the time I was adamant they must be there somewhere. Now I label them as per the image here and I know if it’s not in one of the 8 boxes it’s not there and I don’t spend time trying to find it! When the nights draw in and you want to cosy up but it’s too early to get out the Christmas decorations, it doesn’t mean you can’t ‘winter up’ and for that reason I keep my lovely cushions, throws, mugs (and most definitely my ‘winter’ diffuser from the white company) etc separate to my Christmas decorations, somewhere handy in the house and more dust free than the loft/garage for such delicate fabrics. This allows me to get them out when I want to (much earlier than Christmas) and really enjoy wintering up the house before adding the festive decorations to it a little nearer Christmas. I can then also put them away later too. Who doesn’t still want to cuddle up with a snuggly throw on chilly days or see twinkly lights through the dark nights of January. It’s still winter so enjoy and when you’re ready to put them away, give things like throws a wash before you do and when you get them back out later in the year they’ll be fresh and ready to use! 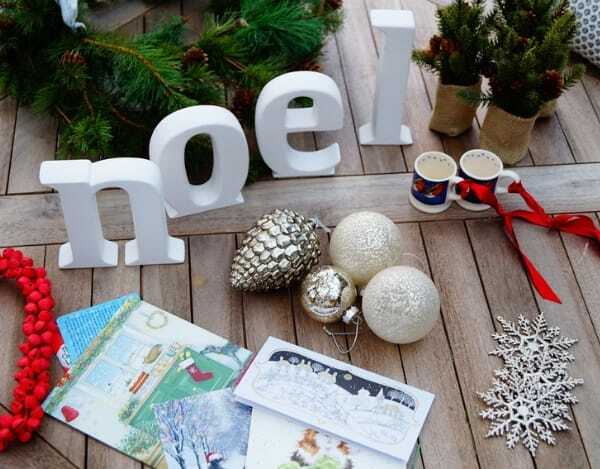 No 5 – Update your Christmas Card List Now! Over the years there’s been a big decline in the sending of Christmas Cards and I’m convinced this isn’t all down to the cost of postage! If you’ve a lot of friends and family it can be quite time consuming I know but receiving a card means so much and says so much! Someone is thinking of you and have picked a card and hand written it for you, what could be nicer or more thoughtful! I love receiving cards by hand or by post it really means something to me and I love sending them too. It’s a tradition I’m never giving up even if I don’t always get to write them as festively romantically as I picture in my head (by a log fire, listening to festive music , with our favourite tipple!) 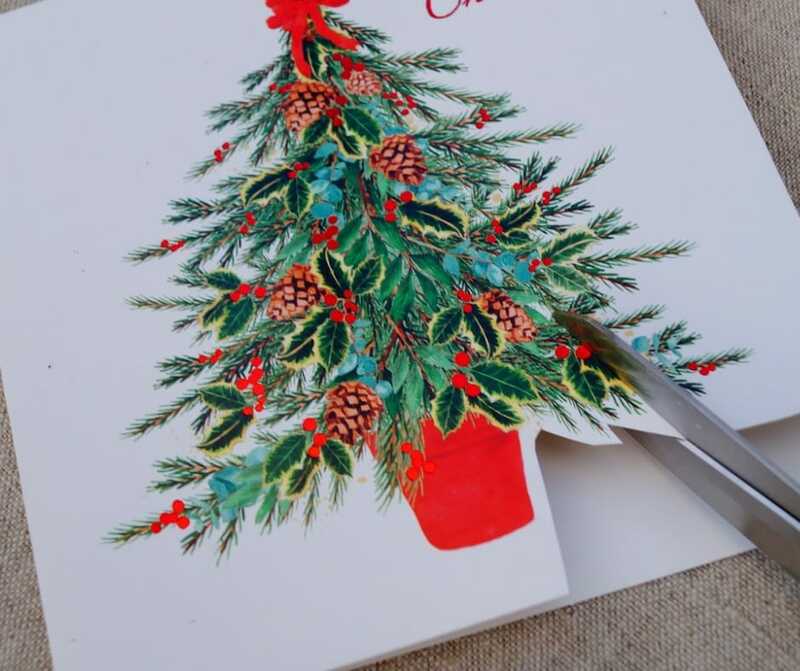 Yes time is often not on our side coming up to Christmas but there are ways you can get ahead and so my top tip is to update your Christmas Card list/Address Book now, yes now! Make sure addresses are up to date and if there is anyone in there you need to remove or add or have been meaning to find out their new address for ages, do it now! If your address book has got a bit tatty with crossings out and you’re looking for a new one we can totally recommend the one we use (available from our online store HERE) as it comes complete with stickers that mean if anyone moves or changes name, you simply sticker over and that’s all sorted! (very clever). Then once you’ve sorted your list, go through your address book and transfer the addresses to a label template on your computer which can then be printed off year on year to sticky labels, saving you a huge amount of time in writing addresses out on envelopes. And of course, as it’s a template if anyone changes address or name, you can simply go in and edit it so it’s ready for next time. Job done and it’s only January hooray! Happy New Year Everyone and may your January be warm, cosy and so organised that you’ll have lots of time to tick off your resolutions list doing lots of things just for you for the remainder of the year! Enjoyed our blog? Please do share with friends or social media. Thank you!